Jillian Farrell (Cardross), joint leader of the tournament after a cluster of early birdies in the second round, eventually subsided to a still creditable joint third place in a strong international field at the Irish Under-18 girls' open stroke play championship at Roganstown Golf Club, a North Dublin parkland course, today (Sunday). Farrell, pictured, had rounds of 75, 70 and 74 for a six-over-par aggregate of 219 over a par-71 course. The Cardross player had seven birdies over the course of the first two rounds but bogeyed the third, ninth, 10th and 17th before she got her first and only birdie of the final round, at the 18th. She finished six shots behind the Swedish four-stroke winner, 16-year-old Ingrid Lindblad who scored 71, 72 and 70 for level par 213. Dutch girl Kaylee De Jonge finished second on 217 (75-72-70). Farrell tied for third with England's Jessica Hall, Lea-Anne Bramwell (Wales) and Ireland's Annabel Wilson (Lurgan). Six Scots survive the second-round cut. 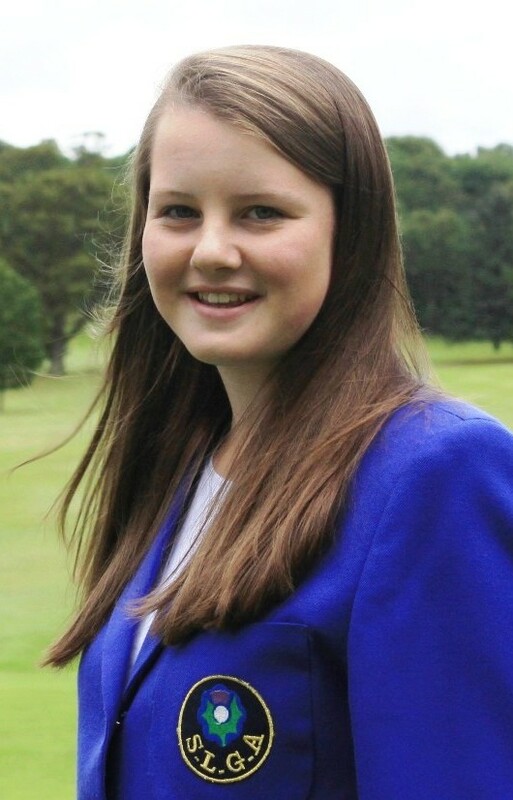 Jasmine Mackintosh (Hazlehead) finished T21 on 228 (76-76-75). Louise Duncan (West Kilbride) (76-73-80) and Kirsty Brodie (Strathmore) (80-73-73) tied for 25th place. Molly Richmond (Strathaven) (78-73-80 for 231) tied for 33rd place and Lorna McClymont (Milngavie) (77-78-94 for 239 ) finished joint 50th. Hannah Darling (Broomieknowe), Carmen Griffiths (Aboyne) and Porscha Wilson (Burntisland) did not qualify for the third and final round. 219 J Farrell (Cardross) 75 70 74, J Hall (Eng) 77 71 71, L-A Bramwell (Wal) 73 70 76, A Wilson (Ire) 69 79 71. 229 K Brodie (Strathmore) 80 73 73, L Duncan (West Kilbride) 76 73 80 (T25). 161 H Darling (Broomieknowe) 78 83. 169 P Wilson (Burntisland) 80 89.